Below the map of the QSO’s I have been lucky to work on 144 MHz during the period December 25th, 2018 to January 6th, 2019. The conditions lasted for days, thanks to a steady high pressure system over Western Europe. 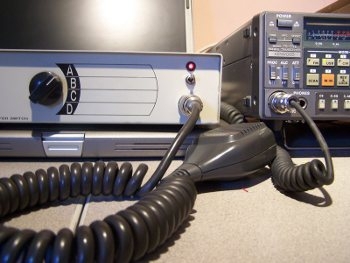 Stations on the North coast of Spain were hearing the OY beacon but unfortunately there was no activity from the Faroes Islands. In JO10XO, I was out of the North-South duct but I could benefit however from excellent conditions from South-West to North-West. 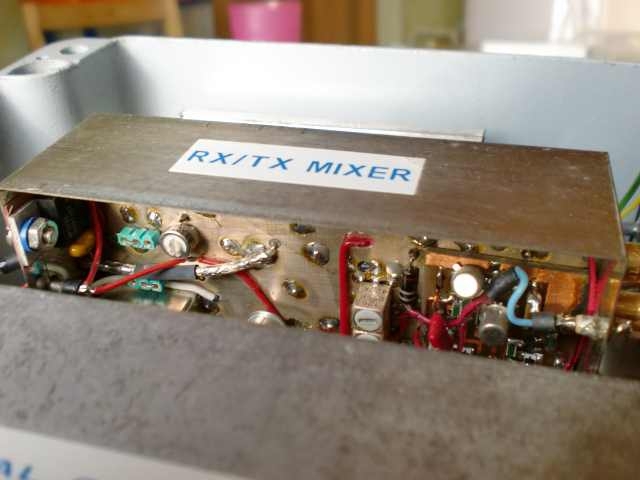 UT1FG/MM was worked while in IN66, JO12, JO25 and JO36 (3 new #). I missed IN67 as I was out for the New Years eve. 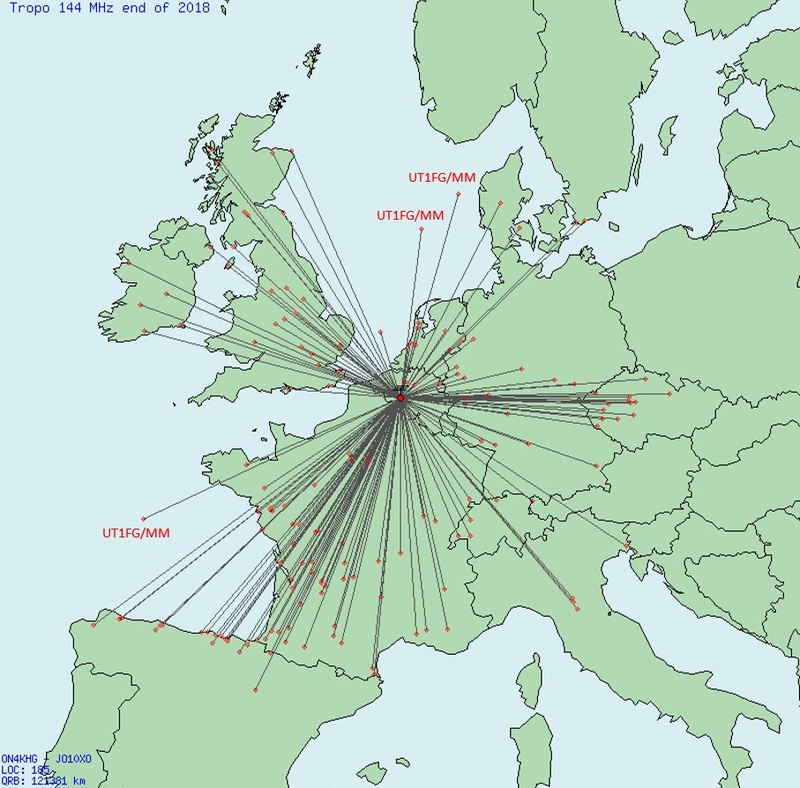 The map depicts SSB, CW and FT8 QSO’s. This entry was posted in Trafic / Traffic and tagged Opening, Tropo. Bookmark the permalink.